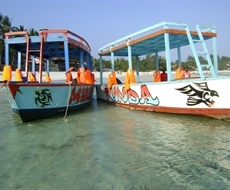 Watamu Marine Excursions - Watamu Marine Association. 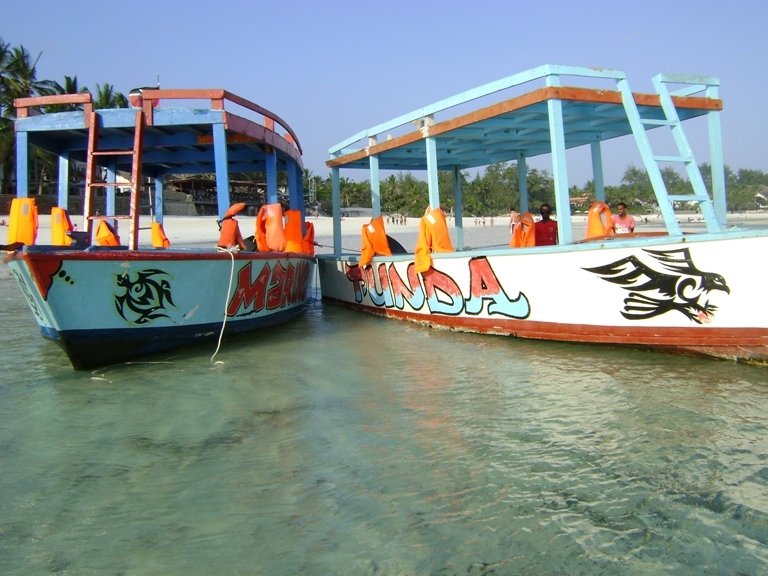 We take tourists on boat excursions to the nearby coral gardens for snorkelling, swimming and relaxing. For people who can't swim, our glass bottom-boats are the perfect opportunity to experience the marine life of the coral reef. In addition to countless other fish and sea life, you may see, whales, whale sharks, dolphins, manta rays and endangered sea turtles. 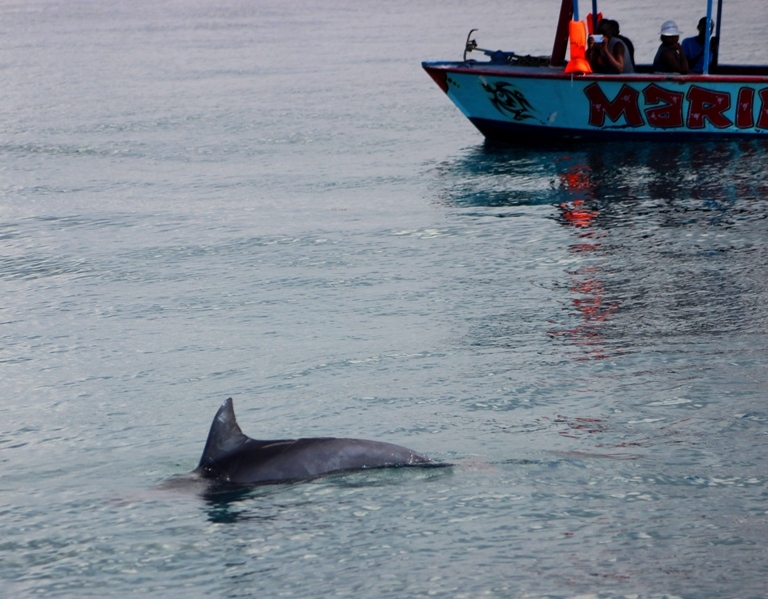 From October to March is the best time to see whales and dolphins near the Kenyan coast so this is when we take visitors offshore so they can watch these fascinating animals. We can also organise sailing trips with traditional sailing boats called dhows. We are aware and sensitive of conservation issues and make sure that our tours to the coral gardens don't damage the plants and animals of the coral reef. We are also involved in organising beach cleanups with our members and other affiliated groups. 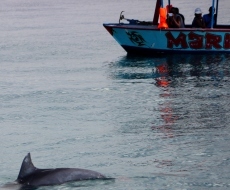 We have been participating in Watamu Marine Association dolphin research and we follow good dolphin watching guidelines, such as don't chase the dolphins especially if there are mothers and calves. Also do not make unnecessary noise and do not jump in the water and try to touch dolphins. We also take out guests for picnics and lunches in Mida Creek which is home for an abundance of wildlife and birds. We are committed to conserving the environment and protection of marine wildlife. We are committed to responsible client care. All our members carry a WMA identity card that visitors can request be displayed at anytime.